Each month, we’ve been sharing the story of our client, and how we helped them with the various aspects of bringing their first dietary supplement product to market. That story will continue, but this time we would like to give an update on their amazing progress, and reveal their product. So without further ado, it can be seen right here: www.myndkandy.com. In creating Mynd Kandy, we were asked to 1) design a product for a niche demographic of video gamers and others putting in a lot of screen time and mental energy, 2) use hot ingredients in the correct dosages, and 3) put it all in a dosage form never really seen before. Our final concept impressed them. The actual finished product blew them (and us) away. Feedback from users has been incredible. So why the early reveal? Because this client has made some tremendous progress that we feel is worth sharing with everyone following along. Within just a few months of launching, in addition to growing online sales, two significant things occurred for them. First, one of the biggest retailers reached out to put the product in their top stores. They are currently well on their way to closing that deal, and delivering the product on a massive scale to gamers, entrepreneurs, office workers, students, and more. 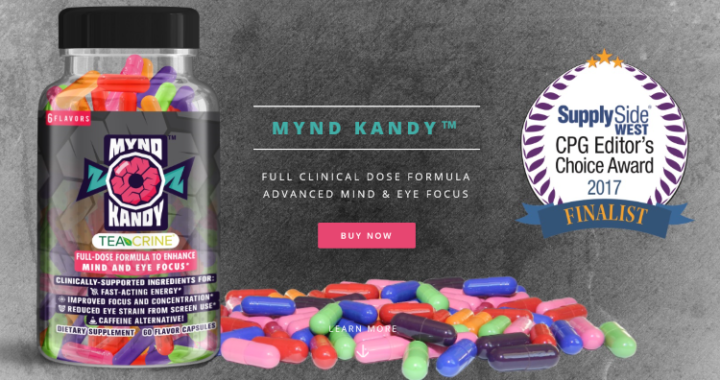 Second, Informa Exhibitions announced that Mynd Kandy is a finalist for its sixth annual SupplySide CPG Editor’s Choice Awards for the Brain Health Category. The SupplySide editorial team selects products for achievements in innovation and market impact. Winners will be announced at SupplySide West, in Las Vegas, on September 27th. We are extremely proud of Mynd Kandy’s achievements, and honored to be a part of their continued progress. Look for the product on their website or on retail shelves soon. Don’t miss the SupplySide CPG Editor’s Choice Awards to see all of the finalist and winners presented. If you recall our last post, we are sharing a new series of articles that will cover the variety of consulting services we are providing a new DSE client. They were telling us the target audience for their first product, giving us some steep specifications to meet, and requesting we handle many things from the formulation through the launch of the product. In the concept brief stage, we listen to the client. Our goals here are to learn as much as we can about what the client wants. We are determining things like the product category, the target audience and sub-audiences, the desired claims to be made, dosage form, and budget limitations. This is where we really shine. With so many ingredient offerings out there, it is critical that formulators attend the trade shows, read the trade news, keep in touch with suppliers, watch the emerging science, and do everything they can to stay on top of what is hot and what has the scientific backing for claims. 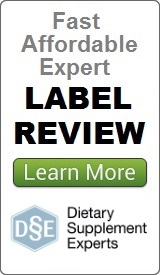 We like to pull together potential ingredients that are a balanced mix of hot studied and branded ingredients, classic well-studied ingredients, and some of those that might not have the strongest of science, but still may resonate in a formula because of trendiness or consumer expectations (e.g., raspberry ketones). Once we have a pool of maybe 20 to 30 potential ingredients, we have to screen through them figure out which are most aligned with the goals established in Step 1. Reasons for elimination might be too high of cost for required dosage, low compatibility for the dosage form, not marketable enough, or perhaps just not right for the positioning. In most cases, 20 to 30 ingredients can be reduced to closer to 10. With 10 great ingredients, many different arrangements can be put together. Our usual approach, however, is to determine a few lead ingredients that we know can be dosed together in order to deliver the primary claims for the product. At least one of these we usually like to be something branded and/or novel. Two or three concepts are generally shown to the client for review. To present the concepts, we show the client Supplement Facts panels, along with bulleted lists of the anticipated structure/function claims that will be able to be made. At times, we can also at this point provide rough cost estimates for the concepts. Rarely do the presented concepts immediately check all of the boxes for clients, but we usually arrive at the one or two concepts that are close. Here we listen again to the client to see what is working and what is not. 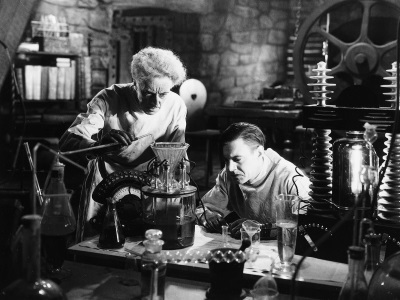 After we get the client feedback, we take the formula(s) back to the drawing board and make the refining adjustments needed to arrive at a final formula that addresses everything that came out of step 5. Here again we create a new Supplement Facts panel and bulleted set of anticipated claims. We never want to create a custom formula that leaves the client unhappy. If we need to run through previous steps and go through many refinements, we will. However, the goal is to arrive at a concept approval stage. The client is content with everything presented to this point in the process. Having a custom formula selected is exciting for a client, but especially for those new to the supplement world, knowing how to make it a reality might be a little more daunting. We like to make things as easy as possible for our clients at this point. We create purchasing specifications that the client can provide to contract manufacturers (assuming the client isn’t going to be the manufacturer) to ensure that they are quoted for exactly the formulation needed. For the new DSE client, we followed all of these eight steps to arrive at a custom formulation that the client loved. In this case, we started with about 20 ingredients, and narrowed them down to just two. Although a simple sounding formula, it included a very new and hot branded and studied ingredient, as well as another generic one with multiple clinical studies behind it. The ingredients delivered the desired claims perfectly, and the dosage form we came up with was something we have never done or even seen before. We are excited to share the details in a future post in this series. If you have any questions about our custom formulation for dietary supplements services, please contact us to learn more.